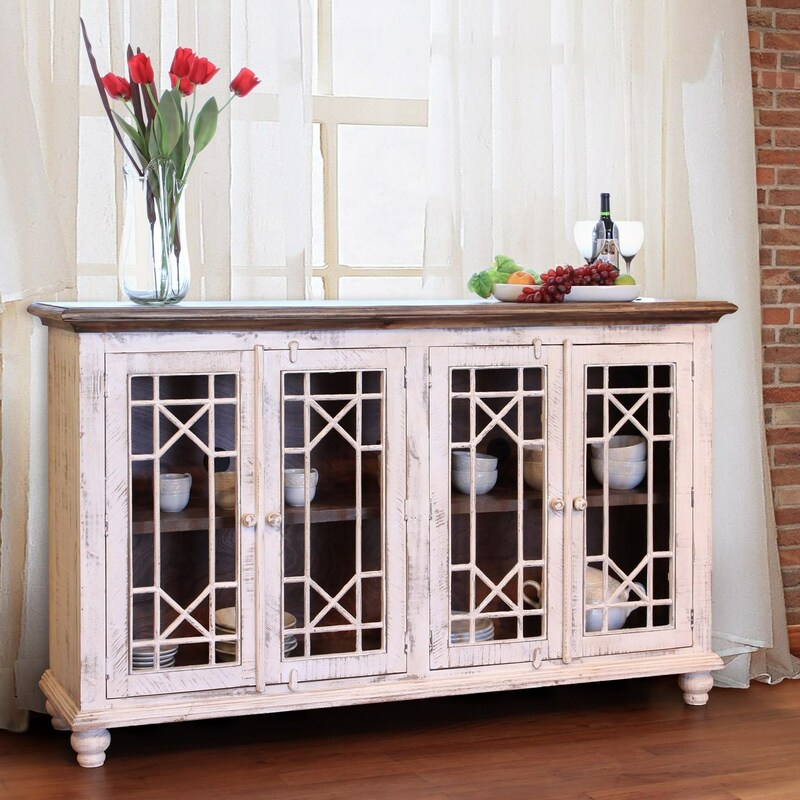 Add functional storage and quaint, classic style with this vintage-inspired TV stand. To create the look of a reclaimed flea market find, this piece has a hand-brushed finish with multi-step distressing. The wood is solid pine, along with painted metal on the doors. Glass panels and built-in wire management make it easy to access your media players and streaming devices. The Vintage White Vintage 70" TV Stand with Four Glass Doors by International Furniture Direct at Miskelly Furniture in the Jackson, Pearl, Madison, Ridgeland, Flowood Mississippi area. Product availability may vary. Contact us for the most current availability on this product. Finish Multi-step distressed finish on hand brushed wood. Base is antique white finish and top is a natural rustic pine finish. Storage 4 Metal doors with glass panels. Behind doors is one fixed shelf. Case Construction 100% solid pine construction.